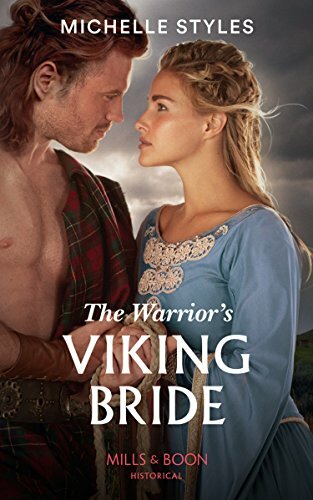 This is the Harlequin Historical cover for The Warrior's Viking Bride. I am even more in love with it now that I have seen the bigger shot. Mills and Boon went for a slightly tighter shot. The cover portrays a scene about 2/3's into the book and does it brilliantly. Currently reading Donald Maass The Emotional Craft of Fiction. It is a typical Don Maass book -- full of seemingly useful info if only the writer is savvy enough to pick up on it, a few sly digs at the shallowness of romance writers, and a number of good examples. HOWEVER I have now reached the point in my career when I can see the research (sometimes). He mentions 'save the cat' without referencing Blake Snyder. There are also things there from Orson Scott Card's Character and viewpoint book. I also happen to like Karl Iglesias Writing for Emotional Impact which although aimed at screenwriters has a lot to say about getting the emotion on the page and how to make the reader feel. Because ultimately a book is all about how the reader feels and how much the reader engages with the characters and uses that story as outlet for her emotions. The caveat in this is that nothing is new in writing and not every reader will get the same thing from every book. This includes books about writing. Maass may or may not have read the books. They have been around for awhile. Some of the knowledge does from asking the hard questions -- why does this book resonate? Why do I feel for these characters? Don't get me wrong. I enjoy Maass. I have heard him speak. He is passionate about what he does. His exercises can be useful but there again sometimes they can muddy the waters. For me it is good to read and think -- ah but I know that and furthermore I know why you are saying this and what the outcome will be. I know where this is leading and that is because in part I have read the above mentioned books and put some of that knowledge into action. Sometimes though I just need to back my own knowledge and realise that I do know a thing or three about writing. The most important of which is that good books are improved by repeated drafts where the writer engages more with the characters and can tease out threads. At the moment I am also reading Pat Conroy's Death of the Santini. It is interesting to read about his process-- and not to be recommended as he seems to have suffered various breakdowns as he wrote his novels. There again he dug deep into his family and the dysfunctional upbringing.